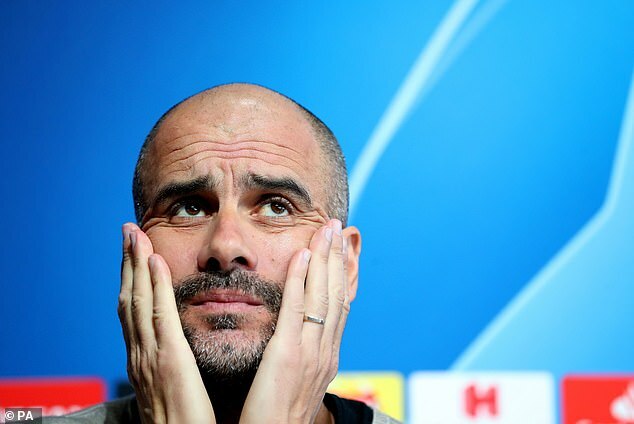 Pep Guardiola is ‘curious’ to what extent Manchester City’s supporters will back his team as they gun for Champions League glory. ‘If tomorrow night they don’t help us… do it for the guys, they are so proud. 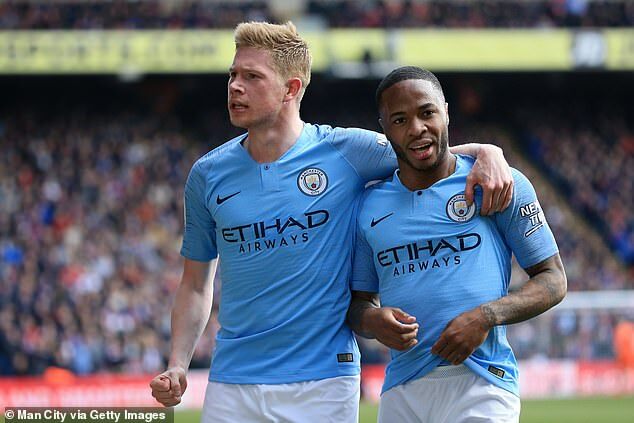 We need them in our bad moments, at this stage we cannot go through. I’m really curious to how our fans will be. 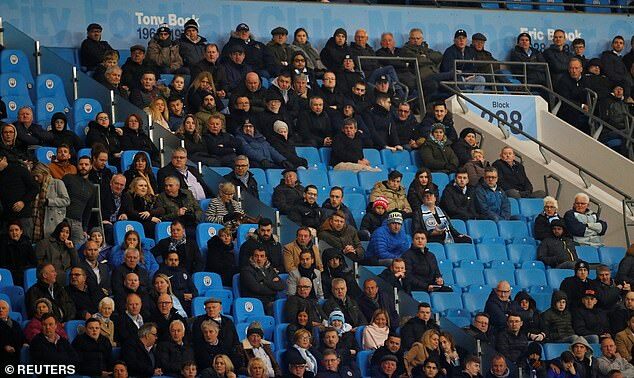 City’s supporters have a rocky relationship with the Champions League and routinely boo the UEFA anthem in the build-up to kick-off. 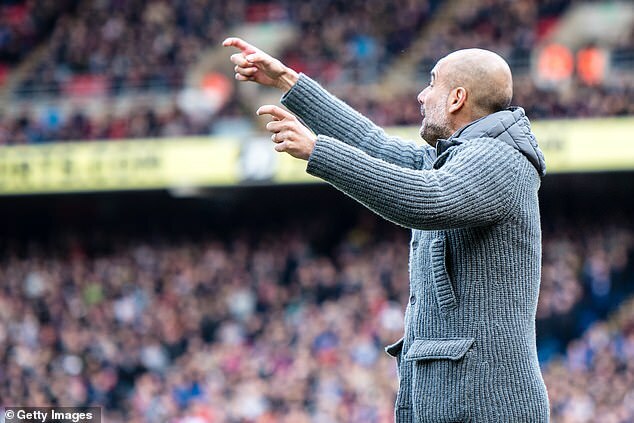 ‘Tomorrow is about desire,’ Guardiola added. ‘(The atmosphere during January’s) Liverpool game would be enough for me… a little bit better. ‘I’ve arrived many times in quarter finals and semi finals, every time away the support is incredible and we need it. 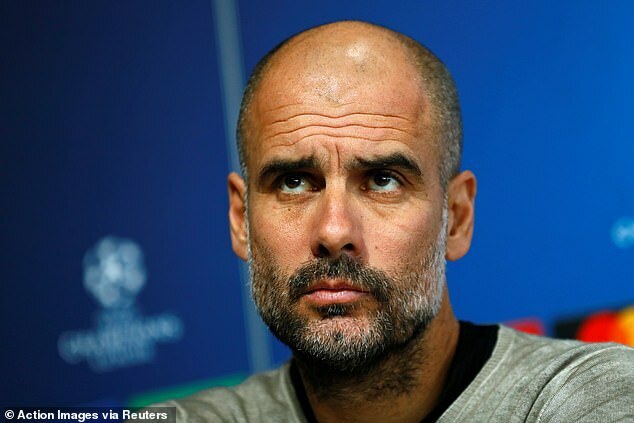 Guardiola also warned his stars that the next few days, the doubleheader with Spurs, will define their season – and suggested the Premier League’s scheduling has barely helped their cause. ‘I love this kind of challenge,’ he added. ‘Tottenham had six days’ rest and we had two before the first leg. I don’t understand why the Premier League put that game at 12.30. I don’t understand it. ‘When I was in Barcelona, I listened many times to Sir Alex Ferguson, (Arsene) Wenger and (Jose Mourinho) about that. The big clubs never complain, it’s what it is. ‘If we don’t win we’ll be out. Two finals for us, I’ve had that feeling for a while. Every time you arrive in the last stages, at this period last year we were already champions but we have an incredible opponent.